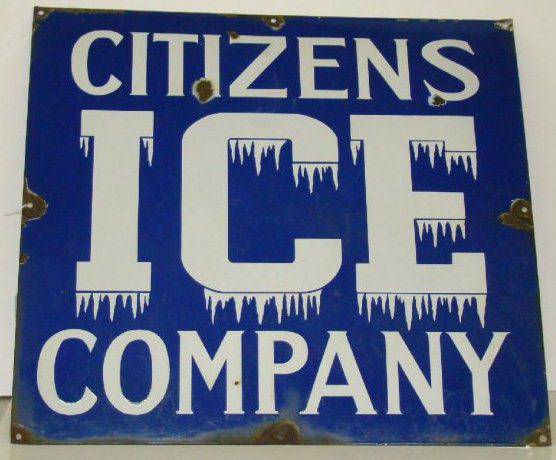 This is a square Citizens Ice Company porcelain sign. This particular Citizens Ice Company sign is blue with white text. It reads, “Citizens Ice Company” and features frost on the word “Ice”.